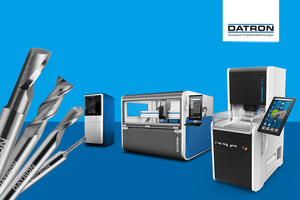 Innovative milling technologies, quality “Made in Germany” and a smart workflow – DATRON provides more than just machine engineering. Mühltal, 02.05.2017 - From 30th May to 2nd June 2017, the visitors of this year’s Moulding Expo in Stuttgart will be able to experience the high precision and maximum profitability of future-oriented DATRON technologies at the company’s exhibition booth C82 in hall 5. In addition to the well-known machine systems ideal for mould making, the medium-sized machine construction specialist from Südhessen will be setting a benchmark with its ultra-compact 3-axis milling machine DATRON neo, as well as with new product releases from its tool portfolio. The fully-equipped DATRON neo milling machine is ideally suited for prototyping and the production of small batch series, allowing high-quality machining of aluminium, non-ferrous metals, and wood, as well as plastics and composites. The Red Dot Award-winning multi-talent produces outstanding surfaces and filigree engraving details, and also offers real added value as a flexible auxiliary machine in conventional production. The easy-to-understand DATRON next control software makes the operation of the machine for HSC beginners almost as easy as using a smartphone. Using wizard functionalities and an integrated camera, users are guided through the milling programme in just few steps and can easily measure their workpieces by means of swiping gestures, preventing a time-consuming manual input of numerical data. In a subsequent 3D simulation of the milling process, the operator also has the possibility to make corrections, if necessary. With its dimensions of 94 cm x 119 cm x 191 cm (without terminal), the DATRON C5 is also a compact milling machine. 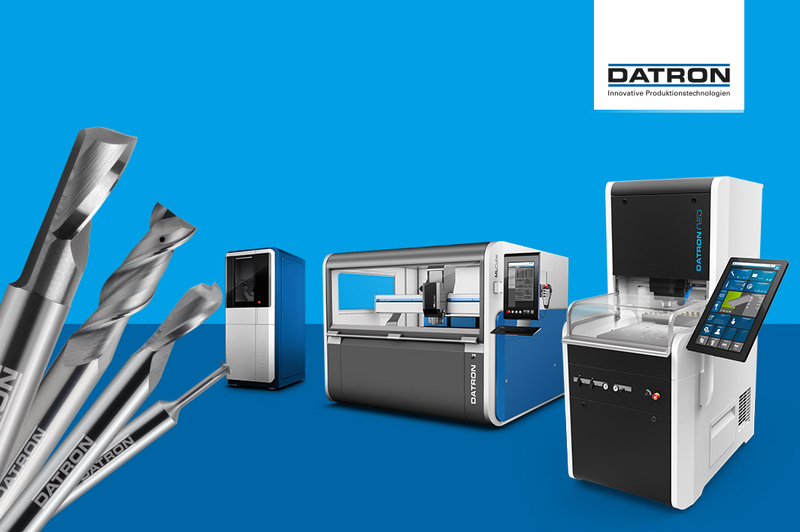 With it, DATRON AG is exhibiting a machine system at Moulding Expo that is especially developed for the 5-axis milling of small parts, and due to its high-precision machining results, absolutely meets model-building precision requirements. In the large-format range, DATRON AG presents itself at the trade show for tools, prototyping and mould making with its large-format MLCube equipped with a 4kW-spindle running speeds up to 40,000 rpm. With a work surface of 1,500 mm x 1,000 mm, it is the largest machine within the DATRON machine portfolio and finds its ideal application in cost-effective sheet machining. Last autumn, the basic form of an aircraft model produced on a MLCube without need for post-machining won the third place in an FAI World Cup. An occasion that proved the machine’s suitability for model making. At the trade show, prospective customers from the automotive industry will be shown the milling demo of an aluminium wheel rim. 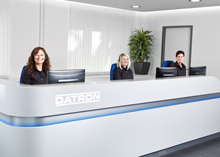 DATRON users will also experience Quality “Made in Germany” in the machine manufacturer’s tool sector. Especially the balanced, with wiper flat and twice-polished 4-in-1 end mill distinguishes itself by higher infeed and feed rates. Users save valuable production time and reduce other production expenses, and can rely on the proven DATRON quality in high-speed milling.